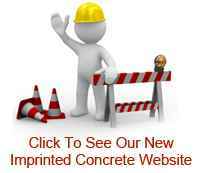 O'Flynn Landscaping, Imprinted Concrete Driveways Cork, Decorative Concrete, Matcrete Cork Ireland. Paul O Flynn Landscaping services Cork has over 20 years experience in Pattern Imprinted Colour Concrete Driveways & Patios. We have been one of the pioneers in the southern region of Ireland in this area of design concreting for driveways and patios. 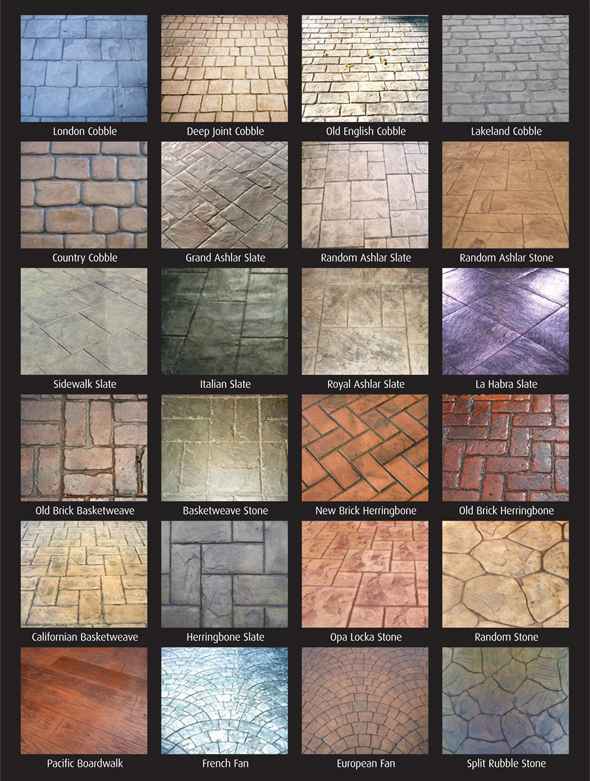 This is a technology that involves the colouring and printing of concrete to produce almost indistinguishable replication of old fashioned stone paved driveways, such as London Cobble, Split Rubble Stone, Grand Ashlar and many more. Pattern imprinted concrete can be used to produce magnificent driveways, patios, pool areas, and courtyards. A system of multi-blend colours gives amazing antique colouring to each selected design. All brick driveways look good when first installed. Sadly over half of all brick driveways do not retain these looks for long. Some examples of common issues with brick driveways can be seen below. We have all seen one type or another at some stage. Brick & other paving methods loosen due to a variety of reasons. They also gather moss and is a natural envioment for weed growth. Irish weather conditions furture increase the development of these common issues. The concrete is poured in large slabs which results in no weeds/moss, no loose bricks . It is quicker to lay down than other paving methods. Pattern imprinted concrete will not fade over time, this is due to a acrylic type sealer protecting it from the elements, and the UV resistance incorporated in the colour and sealer. It is maintenance free for up to 5 - 10 years, depending on the amount of traffic which it is subjected to. Adds value to your home and property. Large choice of colours and patterns available. Almost no maintenance required apart from a reapplication of sealer after 5 - 10 years if required. Imprinted Concrete can be used to replicate standard brick driveways. Does not spoil or crack in extreme cold weather conditions. Why choose Paul O'Flynn Landscaping? We believe in the up keep and reputation of this amazing technology. We have over 20 years experience in every scenario with this technology, the pit falls to avoid and the extra touches which ensure a superior job compared to others. Getting an experienced installer for this beautiful technology is vital for its success. This is a beautiful technology which is truly amazing, and deserves attention to detail. Our prices are extremely competitive and are a reflection of genuine quality. We encourage individuals to seek genuine & experienced installers of pattern imprinted concrete driveways & patios..
We at O'Flynn landscaping take great pride in proving that our driveways & patios completed over 15 years ago, still remain uncracked, vibrant with colour and beautiful even against the aging of Irish weather conditions. 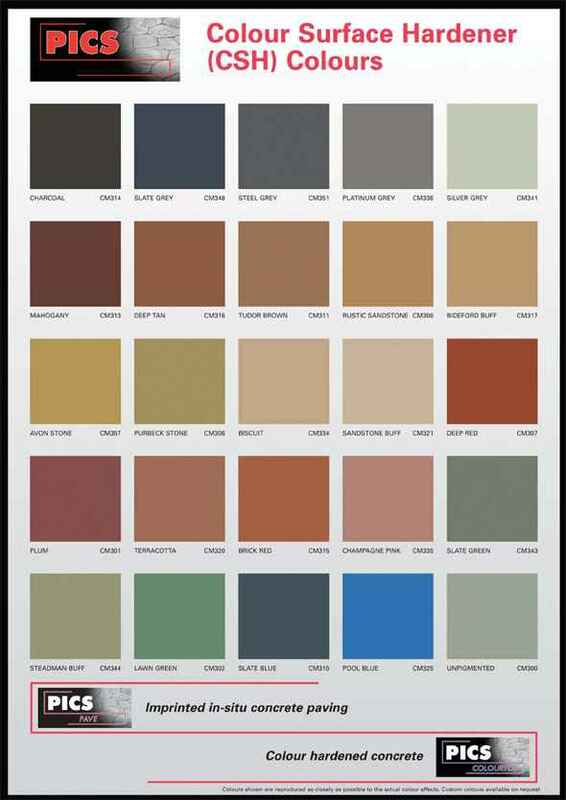 Examples and the names of the colours available.